1. 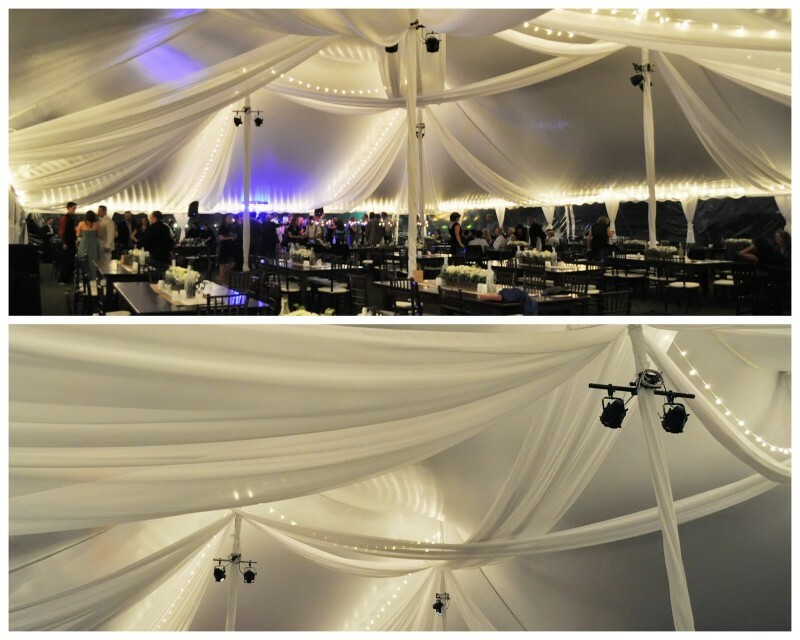 What is the most popular style of tent, for an average-sized wedding? An average wedding has approximately 100-200 guests, so one of our most popular sizes to comfortably fit that amount of people is a 40×80 foot tent. 2. What are the biggest and smallest size tents you offer? How many people do they fit? 3. What are some trends in party rental/linen colors? Do you see any popular combinations this year? A lot of couples are opting for a clean and classic look and using a lot of all white and/or neutral-colored décor. Some colors that seem to never go out of style are shades of brown and aqua. Another new trend is the natural look, with burlap and natural materials over the tables, to create a more rustic feel. Sometimes teens or graduation parties like to pick bright neon colors and we have those, too. Color schemes that seem to always stick around are pastels in the spring, bright and colorful in the summer and rustic and rich colors, in the fall. 4. How about trends in tent décor? 5. How far do you travel? Ebb Tide provides personal, hands-on service focusing mostly in the Queen Anne’s, Talbot and Kent county areas of the Mid-Eastern Shore. Of course, there are exceptions and we are willing to travel greater distances, depending on the event. 6. Renting a photo booth – what are some benefits of having one, what is your favorite feature of it? 7. So, every outdoor event’s worst nightmare: RAIN… What if it rains the week or day of their event, what can they do to make sure the ground isn’t muddy? Tents are put up as early as Wednesday or Thursday, prior to a weekend event. If the forecast is calling for rain and they want to be on the safe side, there are a few options: One option is to add subflooring, which covers the entire area under the tent, and then carpet is placed on top, for a nice soft feel. Other options include tented walkways, so guests do not have to walk in the rain and sidewalls, to keep the inside warm and dry. All of these additional items can be decided upon close to the event date, based on the five day forecast. 8. 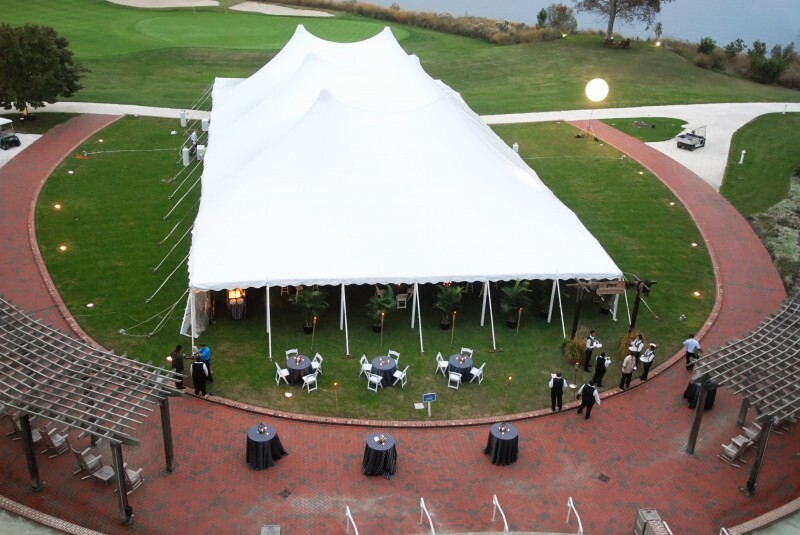 What are some tips you can give for someone planning an outdoor, tented event? A lot of the advice we typically give involves the weather! No matter how well you plan your event, you cannot predict the weather, the best thing you can do is be prepared for it. Outdoor, tented events are typically held in spring, summer or fall and depending on what time of year it is, you may need to adjust your plan for rain, heating or cooling. We can work with you on adding items such as heaters, fans or even air conditioning! The best thing to do is be realistic and understand that a tent is still a temporary structure and in extreme weather events (i.e. thunderstorms, high winds or lightning) it is still best to take cover in a building or your car. Typically these types of storms blow through quickly and it’s safer to be in a permanent structure than a tent! Finally, relax and try to enjoy yourself no matter what the weather may bring! 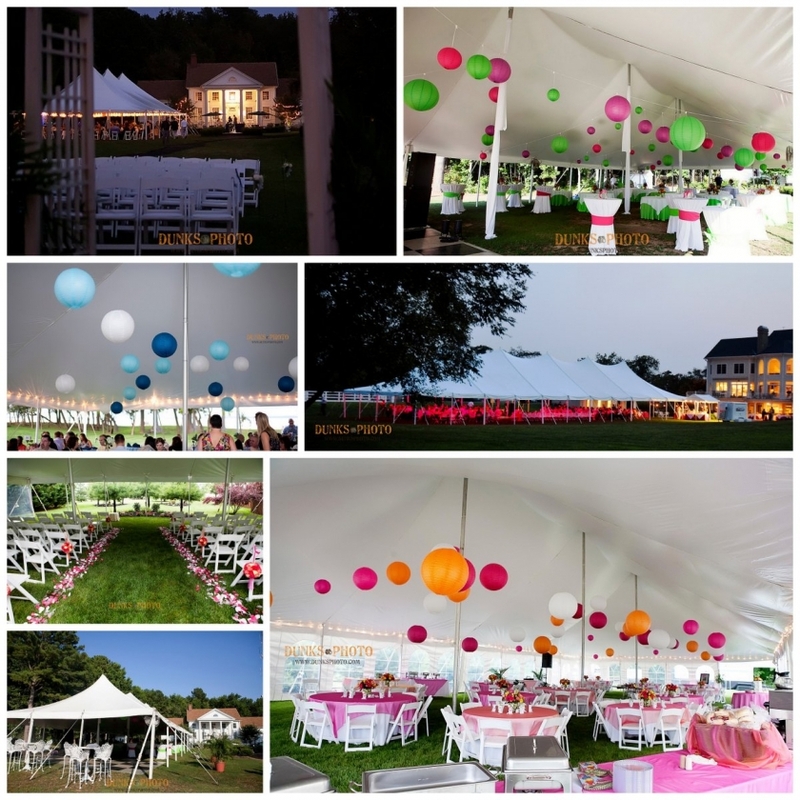 Ebb Tide Tent and Party Rentals are a local, family-owned and operated business based in Queenstown, MD. They strive to provide personal, hands-on service year-round and guarantee all the products they provide. If you’re looking for a tent, party rentals, linens or even a photo booth, check them out, you’ll be glad you did!